The Spring 2018 issue of Signs is a special issue on Displacement, edited by Denise Horn and Serena Parekh. As the editors write in their introduction, the issue at once addresses the urgent “global refugee crisis” and seeks to “underst[and] displacement as a larger phenomenon.” “In our view,” Horn and Parekh say, “displacement should not be understood as merely a recent phenomenon but as part and parcel of the human experience.” The issue is organized into four broad themes: displacement and gendered labor, displacement in literature and art, displacement embodied, and displacement explored through new methods and theories. 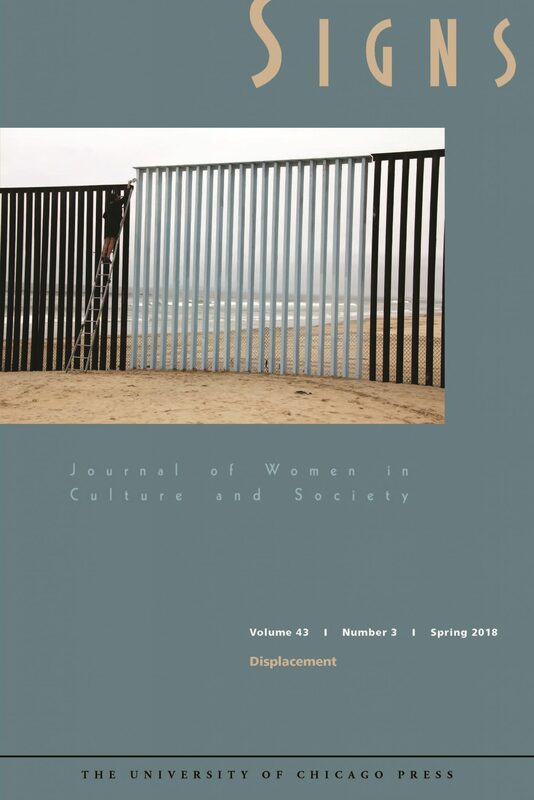 The articles collected in the issue attest to the need for feminist analyses of displacement in all its complexity and diversity.